Set secure yard boundaries for your pets. Teach your pet obedience and tricks. Stop scooping & smelling your cat's box. Potty train your pet in no time. Keep pets hydrated & healthy. Program your pet's meals in advance. Give your pet the freedom to come and go. Treat your pet to delicious, healthy treats. Return your product within 45 days. 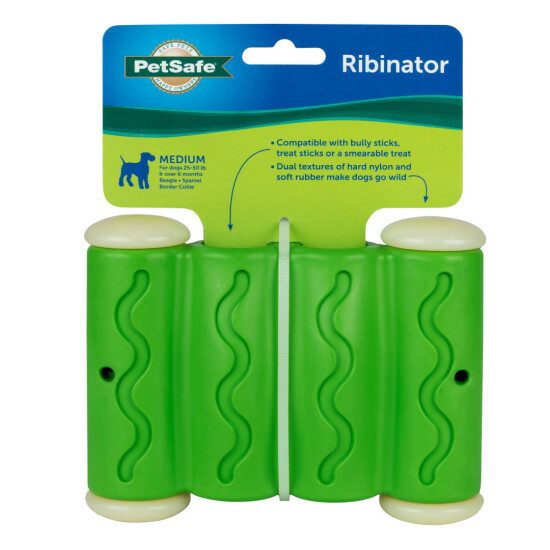 The PetSafe® Ribinator Dog Toy is a durable, treat compatible dog chew toy. 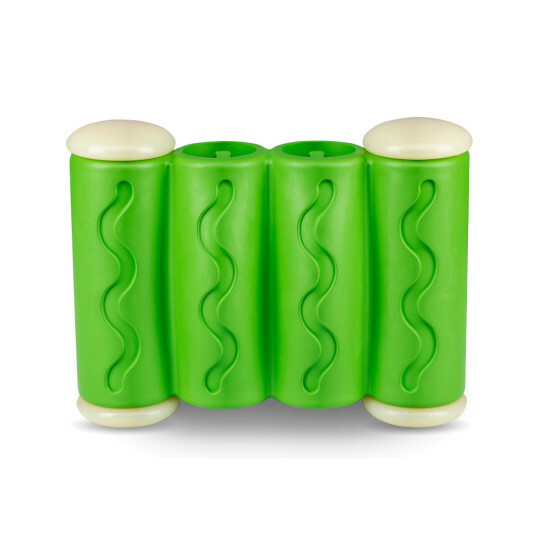 The large rubber tubes and nylon supports make the toy long lasting. It also helps stimulate and engage your best friend for enhanced playtime. 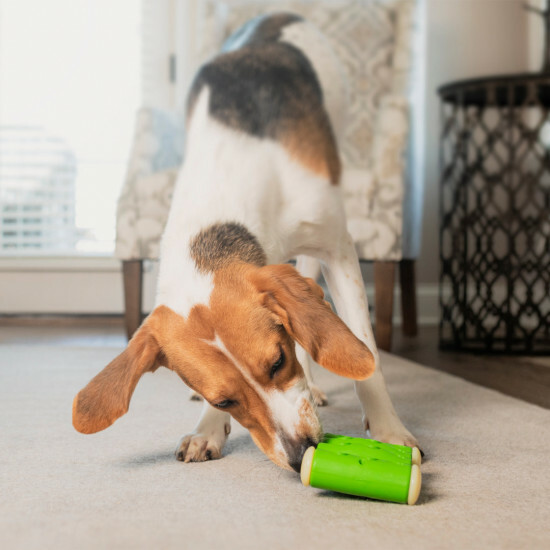 The hard chew strength makes the Ribinator a great addition to your dog’s toy collection, even for the most energetic chewers. Bully sticks, treat sticks, smearable treats, and even treats or food from your pantry can be utilized with the Ribinator. Tailor how quickly treats dispense with the Treat Meter® by simply trimming the prongs. We recommend trimming the Treat Meter prongs just a little at a time to achieve desired results. Sign up today for the latest news, promotions, and more from PetSafe® brand. Please try again later or contact Customer Care. You're browsing our US site. Would you like to visit our International site?